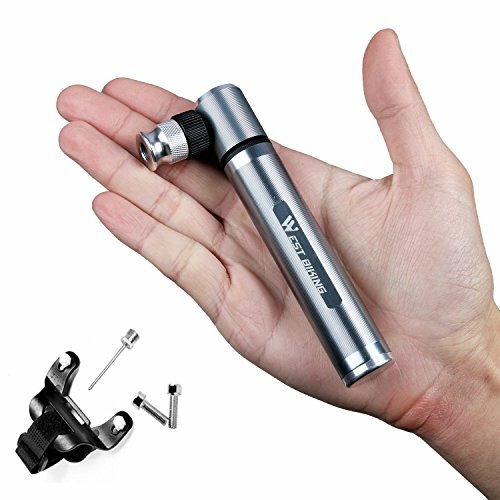 Portable and light weight to carry, very convenient. 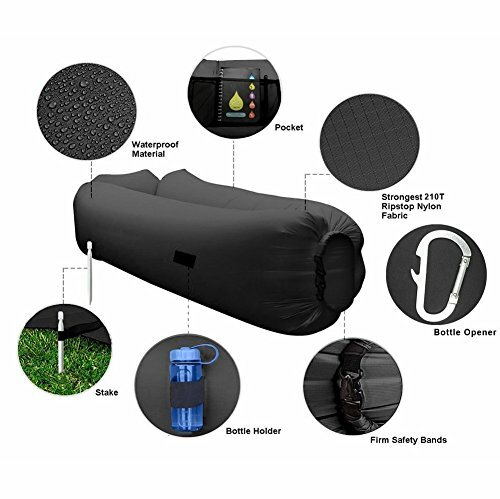 Suitable for camping, fishing, hiking, or just relaxing at home or garden. Built-in mosquito net to protect from insects, also allowing the air to circulate. It has two ways zipped entrance with two removable spreader bars, you can also have it with out the net. Included ropes and rings, ready to use, you just need to attach it to a safe and secure location. 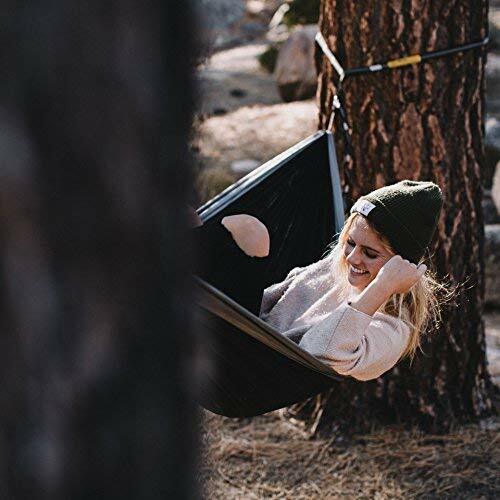 Our double camping hammock is made of soft and silky tactility yet super strong material gives you the most comfortable and relaxing experience ever. compared to other camp hammock, our backpacking hammock support up to 660lbs (300kg). it is must be more safer secure to trees, poles, boat masts for family camping, backpacking, traveling, hiking, garden, backyard, beach, picnics, park, porch, patio, cottage. a great indoor outdoor portable hammock. 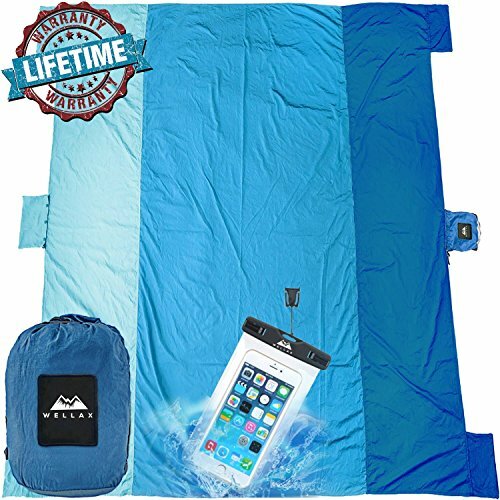 Camping hammock with mosquito net have two 5-meter-long mosquito net ropes, can be a good lifting net that don’t sag keep the bugs out and lets you sleep in comfort. 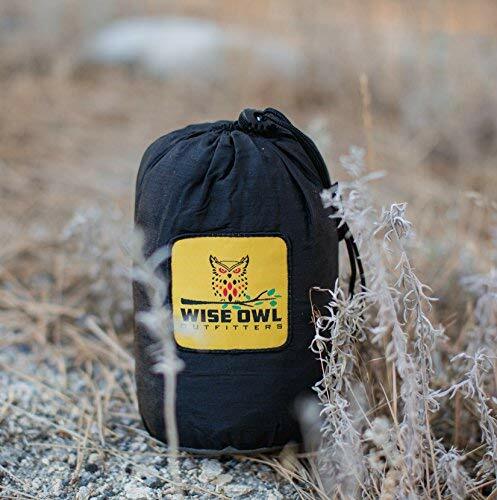 double zips and precise hole design are both mosquito repellent and ventilated, hammock bug net will let you feel fresh and give you outdoor personal space. lengthened double hammock make you feel more comfortable. if you do not want to use nets, then you can flip it over to become a outdoor hammock. 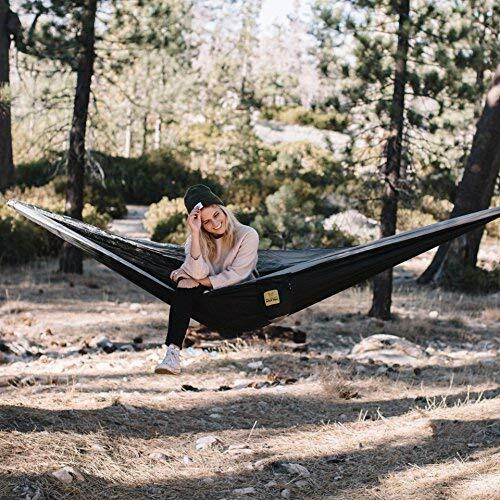 Camp hammock: 118″x78″, made of strong, breathable, quick-drying upgraded parachute nylon 210T, parachute hammock is constructed using heavy duty triple interlocking stitching which make it more safe to fit 2 persons. camping hammock with straps that made from 100% non-stretch high quality polyester webbing. approx 118.1″x0.98″, 42 loops design makes it easy to adjust the height so that your hang is amazingly comfortable every time. One double camping hammock, two aluminum carabiners, two ropes and two tree straps. everything you need, all gears are in one bag. the pouch can be used to hold keys, sunglasses, bottle, etc. camping hammock is super lightweight, only 2.9 lbs. easy to carry. it will take less than 3 minutes to set. you can also use double hammock as sunshade, camping/beach/ picnic blanket, swing chair, tarp. a great gift for mom, dad, kids, friend, or even your pet! Tent hammock comes with carabiners attached to each end. durable 7075 aviation aluminum-alloy. IREEFAR double camping hammock is twice as strong as most competitors. ultra light: 21g(0.75 oz) per carabiner. but it’s very sturdy and safe, rated to withstand over 2500 pounds (12 KN) of force per carabiner. it meets the highest climbing safety standards. 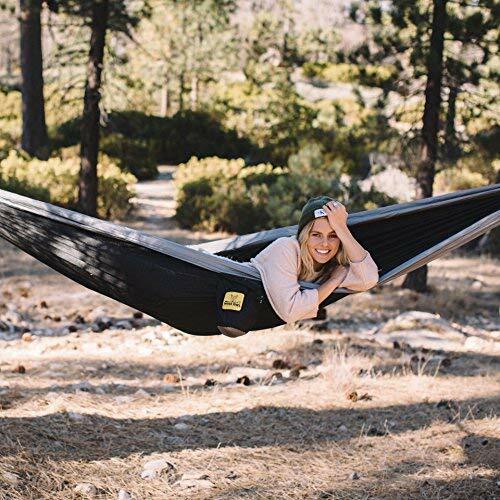 amazing portable hammock for camping gear. let us go nature and start camping way. Fits well around my double hammock plenty of space inside feels good quality. 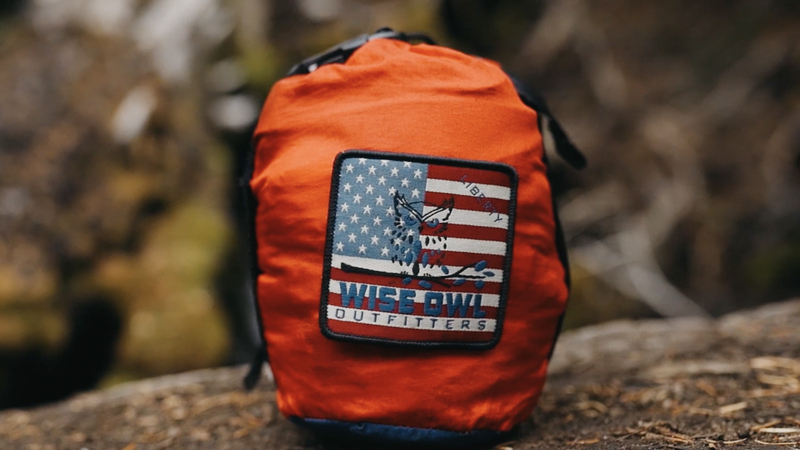 Packs small and quite light. 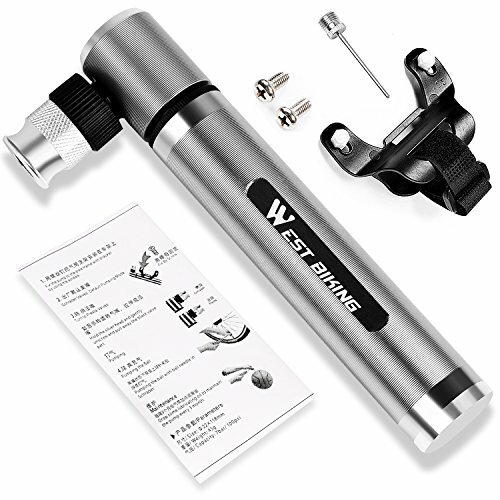 Great stuff, fits in a small bag which is great to grab with you when going on a motorcycle camping trip. Very happy with my purchase! I’ll start this review by saying that this is the first type of hammock of this kind that I’ve tried out. 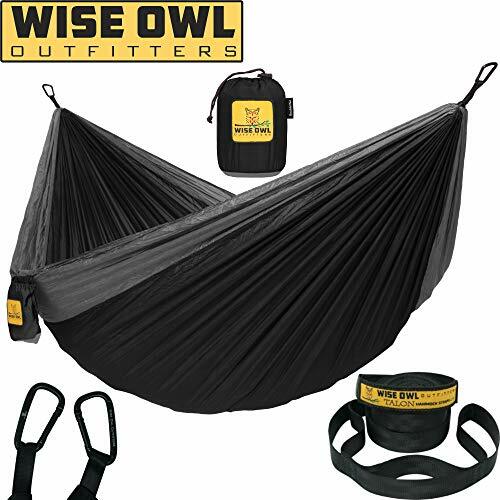 In the past I’ve used a bug net along with a normal hammock, but it was nice to see an all-in-one hammock and mosquito net that has the straps included as well.This hammock is much longer than an ENO and it sets up quickly and and easily. There’s also a small pocket on the inside for a wallet, keys, etc, which is something I haven’t seen on other hammocks, but makes sense since you can’t access the outer stuff sack since you’re zipped up inside.Where I live, bugs make laying in a hammock outside can be tough from Spring to late Fall. 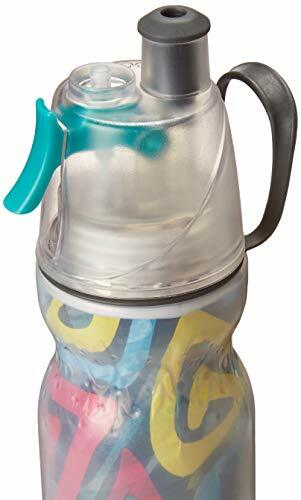 This is a good inexpensive option for hanging out bug-free. Super awesome 2- person hammock, safe and healthy material, strong, and keeps little buggers out. I wanted an easy setup hammock to suspend on my patio for relaxation. I installed the hammock on our lower patio deck where we get a nice breeze. This really is a great hammock for taking to the beach, camping, or even just the back yard. I love this hammock not only does this hammock look awesome but it also feels super durable. Especially eco-friendly and breathable material. No chemical smell. The straps the hammock hangs from are extremely heavy duty and attach to quality carabiners. I would like to say that I love the design and idea for there being a bug net. keeps the bug and mosquito off. I prefer the mosquito netting, but dont have to use it all the time. Can hide the mosquito net and very large to hold over two person. It is cozy and we can move around in it without worrying about it tipping over.One thing I would really like to point out is typically products of this type of material such as kids’ play parachutes often have a strong chemical smell and use bad dye, because my skin is overly sensitive and I am allergic to a lot of things, and I ever bought a hammock and get an itchy rash covering my arms where they touch the hammock after slept one night. I dont know whether it is a spray used to water-proof it, the bad dye, or something else. I got the rash. but I was really surprised to find ireefar hammock, that even straight out of the package, this hammock doesn’t have that smell. And I slept in my hammock for a few nights .I feel fine. Eco-friendly and Breathable material are important for us. 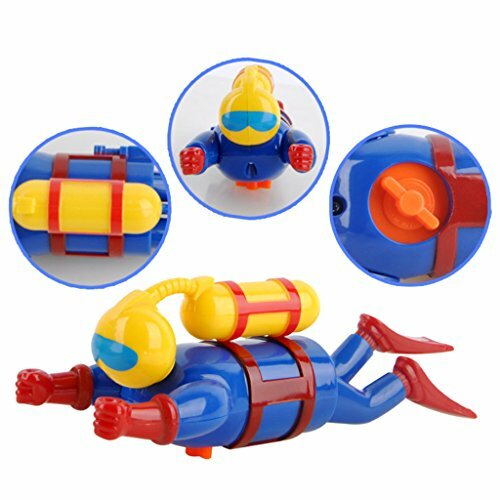 It is a good choice for outdoor activities in summer. Very good looking and comfortable hammock. The material is super lightweight and soft but also strong and durable. I looked at a ton of different hammocks, but finally decided on this one for setup on my backyard for relaxation because of the mosquito net and high higher weight limited. It is about 660 pounds. I with a friend can lay comfortable in this hammock. The mosquito net is great, because the bugs in my area can get really bad at night. So I can relax without bug bothering me. And can flip the hammock over if i want to use without netting. Overall I love the product and the straps are amazing with a greater length than normal straps and extra loops! I love my hammock. It is so easy to hang and also to store. Very comfortable and easy in and out. Perfect size for me. Great hammock . My first one broke and I contacted the seller and they did a good job at taking care of me. The new hammock I got is very comfortable and lightweight. Great hammock with lots of room. Easy to setup. Good overall! portable, comfort and quality! I bought this for family camping trip and looked for the trees to set this up on. It is really oversized(118*78inch) and looks massive. It can hold 2 people in place and support to 660lbs. This double hammock is made of 210T nylon parachute which is quite lightweight, comfortable and breathable. I love straps and carabiners that come with it and plenty sturdy. It set up super easy. First, wrap straps around sturdy objects 12-20 feet apart and about 6 feet high. There are many loops in straps that can choose one side of the strap and on the end of it put inside the loop of the other side of the strap tight prior to hanging hammock. Then attach hammock carabiners to the loops on the straps. 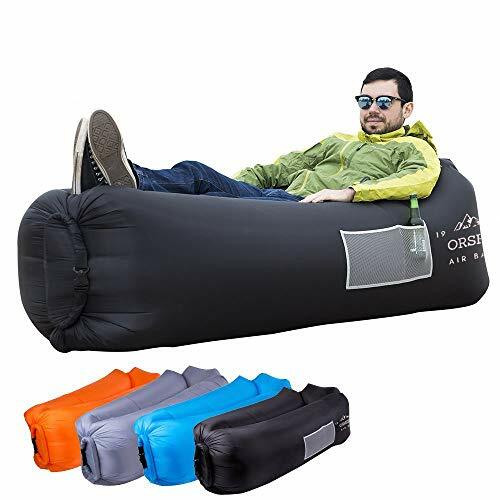 The other reason I bought this one is the hammock with mosquito net that can take a nap without mosquito bite in camping and also it can flip over as a general outdoor hammock if there is no need for mosquito net. There are two black ropes. We pass the cords through the loop on the net tie tight with the tree. Once i had bought other hammock, unfortunately, the mosquito net had already torn in the second day. But this mosquito net is really high quality and exquisite. it priced right and comes with everything we need. Excellent! we all love it. This camping hammock is not too difficult to setup and it comes with mosquito net. The hammock is fold-able and can be folded into a small bag when not used. 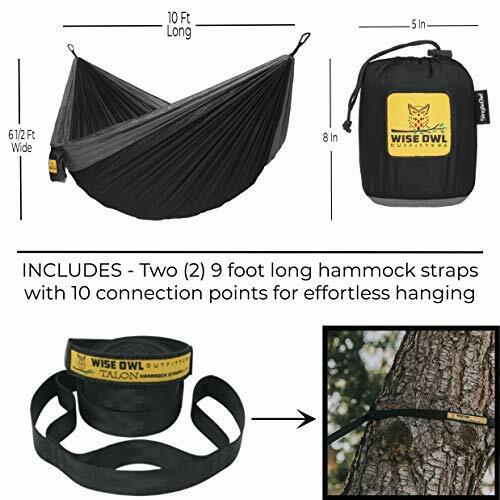 One double camping hammock, two aluminum carabiners, two ropes and two tree straps are included in the package and they can all fit inside the bag.I like that it’s pretty spacious and enough for fit 2 people. The material is pretty comfortable to sit/sleep in and the mosquito net comes in handy. I haven’t tried if it can support the maximum weight as listed (660lbs) but it has no problem holding me and my wife together inside, which is roughly 300lb. The hammock can be used on both sides so I just have to flip it over to use it without the mosquito net.